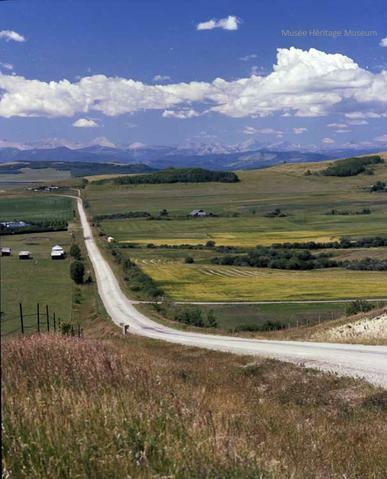 File consists of photographs of Highway #1 and surrounding scenery in Alberta, on a stretch between Calgary and Banff. 1 oversize print is signed by Victor Post. All 3 oversize prints have been separated and stored in Oversize Box 5. Currently in off-site cold storage. Includes 1 photographic print : col. ; 41 x 51 cm on mat.